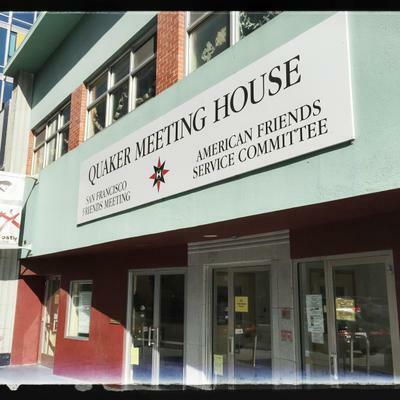 We are a Quaker meeting in downtown San Francisco that offers unprogrammed (silent) meeting for worship on Sunday mornings from 11am to 12pm, with a First Day program for children and teens, and a weekday meeting for worship on Wednesday evenings from 6pm-6:45pm (no childcare provided). Newcomers are encouraged to come to our orientation each Sunday which starts at 10:40am or take a look at our First-Time Visitors section to learn more about what to expect at our meeting. Our Meetinghouse is home to a series of regular events and offers its space for rent to community groups.